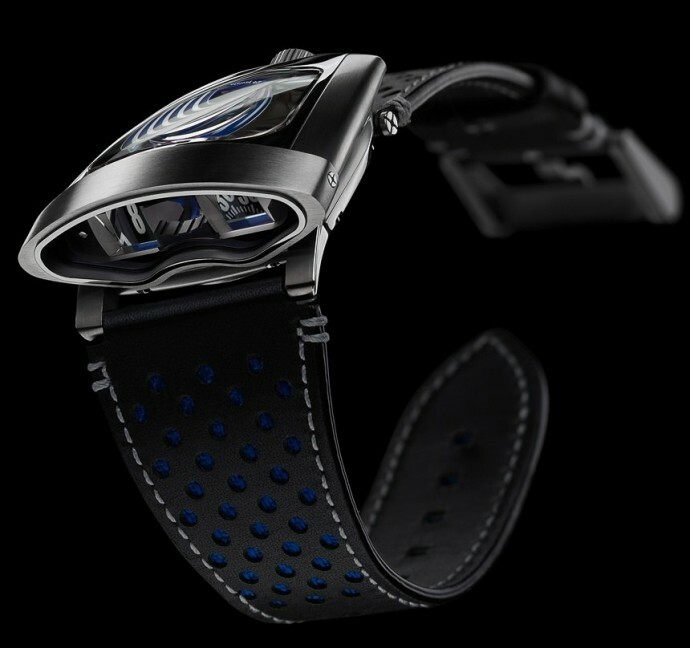 Meet the MB&F HMX watch, a special timepiece created to celebrate the 10th anniversary of the Geneva-based Swiss watchmaker founded by Maximilian Busser. 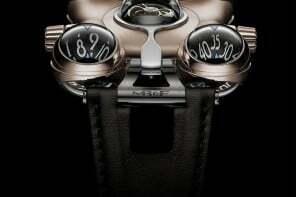 It’s hard to believe that MB&F – a.k.a. 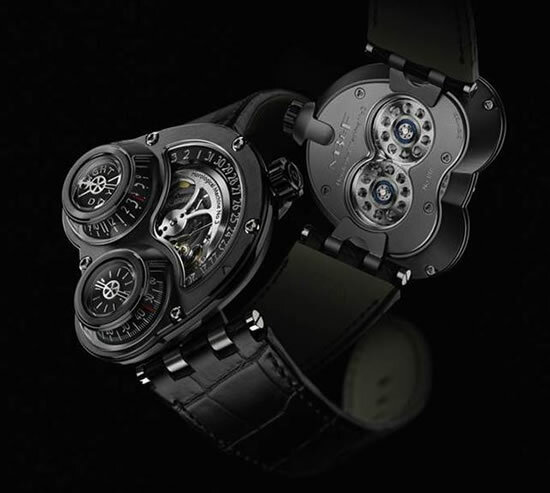 Max Busser and Friends – has already been in watch making business for ten years and in this past one decade, we have seen some crazy yet incredible creations from the luxury brand. Their latest effort, the HMX timepiece, is equally stunning thanks to its unique time indication method and the supercar inspired theme. The letter ‘X’ in the name HMX is actually the Roman numeral for 10. 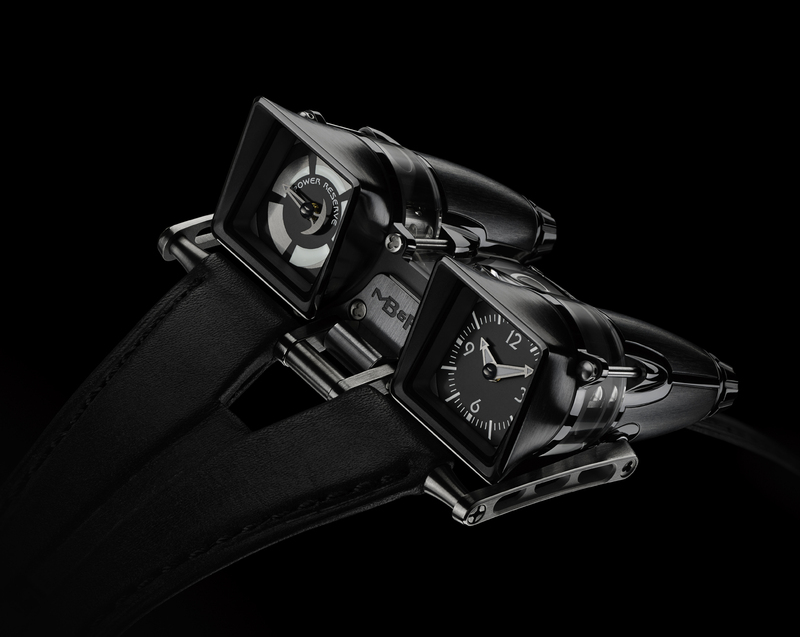 The Horological Machine 10, or the HMX, is inspired by various supercar designs echoing Max Busser’s early aspirations of being a car designer. 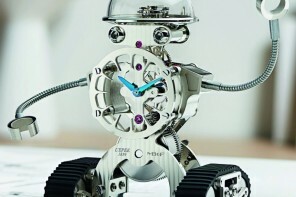 The watch is made from a combination of grade 5 titanium and stainless steel with 223 individual components. 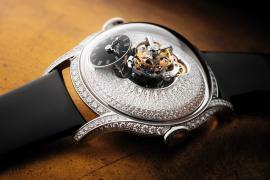 It also features a mechanical movement with automatic winding and a 42-hour power reserve. The most distinctive feature of the watch is its display. 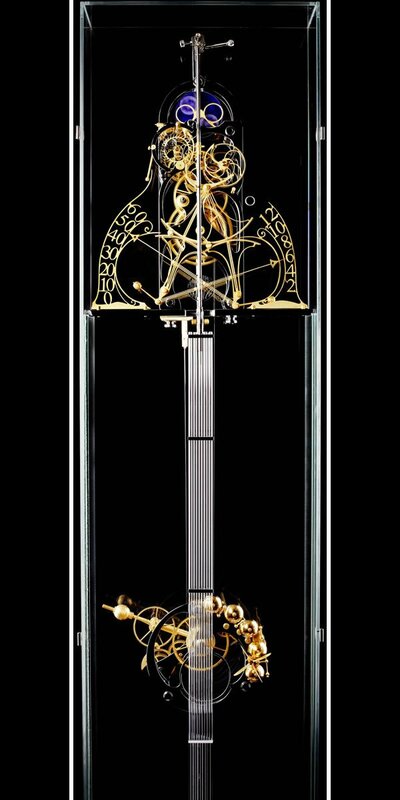 The time is indicated through two windows on the side of the case, showing jumping hours and minutes. 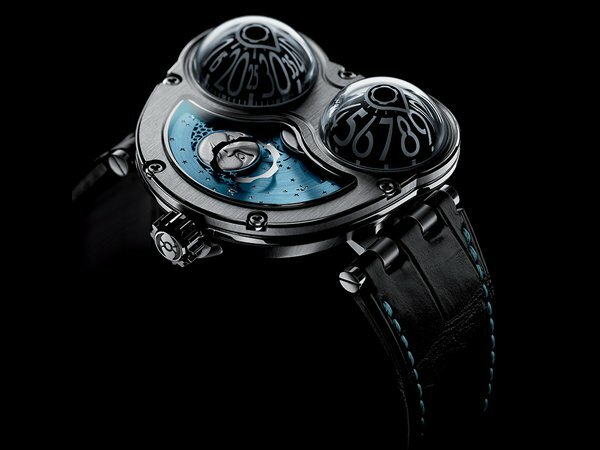 A pair of circular disks that rotate flat on the top of the movement powers the displays. The mechanism of the display is very interesting. Mirror image numerals are printed around the disks, reflected and magnified by two triangular sapphire crystal prisms. 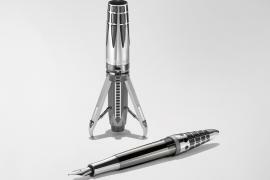 Light enters the case from the top and side, providing plenty of illumination for reading the time. The movement’s engine styling is more than just decoration and is actually functional according to the watchmaker; the oil caps on the valve rocker covers are to be unscrewed during servicing to oil and lubricate the movement. 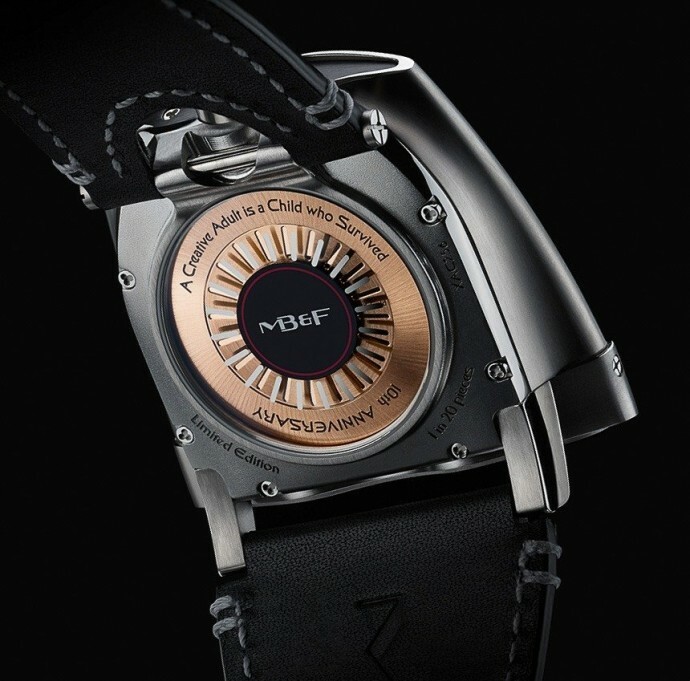 Apart from all the crazy technology and the jaw-dropping aesthetics of the HMX, it is the first timepiece by MB&F to be priced in the “affordable” luxury category. While most of the timepieces by the watchmaker are priced close to the $100,000 mark or more, the HMX retails for 29,000 Swiss Francs (approximately $30,000). 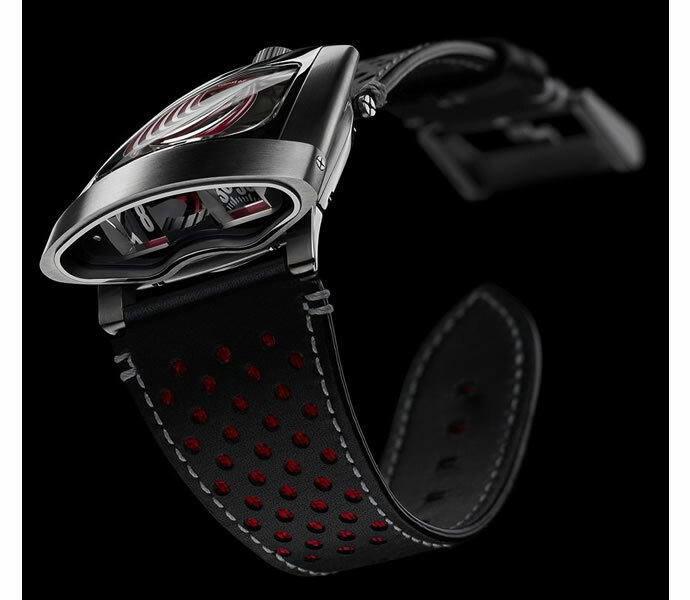 The affordable pricing, according to Busser, is meant to thank the loyal fans who have been purchasing the brand’s unique timepieces since its inception. 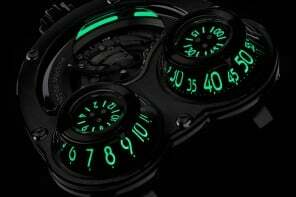 The watch will be available in four limited editions – Lotus Black, Ferrari Red, Bugatti Blue and British Racing Green – each with a production run of 20 pieces.